Maribel Cano is the 2016 recipient of the UIC Division of Specialized Care for Children (DSCC) Award of Merit. The award allows DSCC’s leadership to annually recognize exceptional employees for outstanding service and dedication to serving children with special healthcare needs. 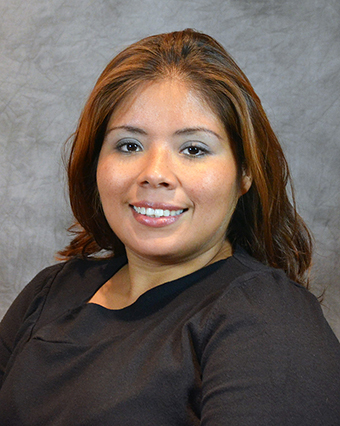 Cano is a Program Coordinator Assistant in DSCC’s Home Care Region 2 Office in Rockford. “Maribel is well known as a tireless team player whose enthusiasm, determination and compassion are an inspiration to colleagues and great source of comfort to the families we serve,” said Executive Director Thomas Jerkovitz. Cano first joined DSCC in 2008. Co-workers say she’s always willing to assume additional responsibilities and frequently volunteers to work with Spanish-speaking families. Despite her heavy workload, Cano also attends school full-time to fulfill her dream of becoming a nurse. DSCC staff nominated seven of their colleagues for this year’s honor. As the winner, Cano receives an Award of Merit memento, a $2,000 award and recognition from the Executive Director. The other 2016 nominees are: Trinice Barron, Taralee Darst, Kimberley Firkins, Robin Mahnken, Norma Mercado and Lynda Miller.